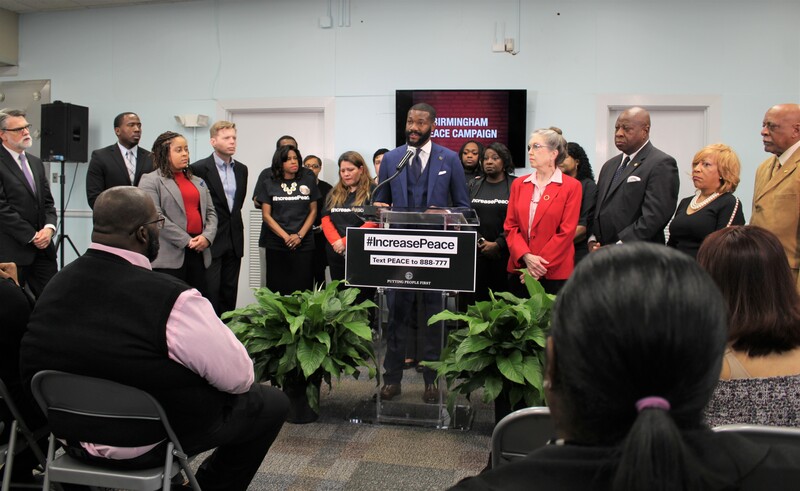 Woodfin made his statement as he unveiled the City of Birmingham’s PEACE Campaign to counteract violent crime. The campaign is a coordinated effort between city, community and law enforcement to achieve change on multiple fronts. 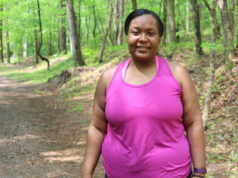 It includes an #IncreasePeace public service announcement campaign that features 30-second videos of mothers of gun violence victims telling their stories. 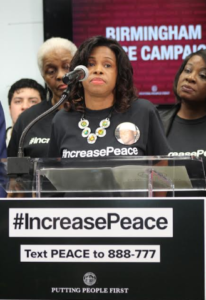 Surrounding the mayor were families who lost loved ones to violence, many of them wearing t-shirts with the phrase “Increase Peace”, including Woodfin’s mother, Cynthia Woodfin-Kellum. statistics. Ninety percent of the homicides involved guns, 86 percent of the victims were black, and the vast majority were men. Homicide is the number one cause of death nationwide for black males between the age of 15 and 35, he said. He said there is a four-step approach to public health: define the problem; identify risk and protective factors; develop a strategy or multiple strategies and evaluate them as well as test them; and if something works try to adopt it. Wilson also pointed out that the statistics are “just the tip of the iceberg.” There’s a much larger culture of violence that’s having an adverse effect and traumatizing people in the community “often starting at a very early age,” he said. Woodfin said he doesn’t want people to become desensitized to the murders. 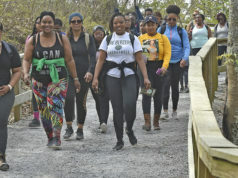 The mayor, surrounded by grieving families, pointed out that he is also among the families who lost a loved one to violence. He lost an older brother to a shooting death in 2012. From January 1 to January 31 of this year there were eight murders in the city, 18 felony assaults, over 800 gun-related calls, and police removed 145 guns from the streets, Woodfin said. Among the families present was Carolyn Johnson, mother of 20-year-old Rodreckus Johnson who was shot to death in his car on Nov. 22, 2003. “Being a mother who has lost a child to gun violence in this city is devastating, and you see us standing here today, it’s not easy for us, it’s not easy to get up and stand up and talk about the loss of your child,” she said. Woodfin also announced Stop the Bleed, which trains residents how to stop severe bleeding from a gunshot, knife wound or other major injury. Training will be facilitated by the University of Birmingham at Alabama. 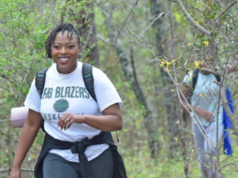 Classes begin at Birmingham recreation centers next month; visit birminghamal.gov/peace to sign up. In the law-enforcement arena, Woodfin announced that Birmingham police will soon be assisted by Predictive Policing technology. “Pred Pol” will improve patrolling by using years of date to indentify times and locations where specific crimes are more likely to occur. Also, a “Real Time Crime Center” will be established within the next year to help police monitor active crime scenes. 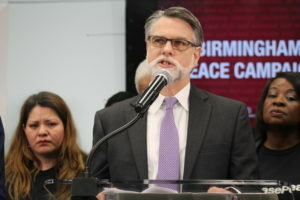 Visit birminghamal.gov/peace or text PEACE to 888-777 for more information. For more on “Increase Peace” click here.